Diwali is an auspicious festival that celebrates the positive aspects of life and the celebration of this festival is incomplete without the ritual of gift giving. So, to help you find a perfect Diwali gift for your loved ones, FlowerAura brings to you a wide assortment of Diwali chocolates online that are delicious in taste. This Diwali, sweeten your bond by sending a box of Diwali chocolates for your loved ones from FlowerAura. Diwali is the festival that welcomes light, hope, good luck, and fortune in everyone’s life. It is a festival that manifests all the positive things in life. Diwali is also the ideal time to strengthen your bond with your loved ones and catch up with your old friends. It’s on Diwali when people give each other gifts and spread love everywhere. So, if you are looking for the perfect Diwali gifts for your loved ones that can sweeten up your bond with them, you are at the right place. FlowerAura brings you a wide assortment of chocolate Diwali gifts that are sure to infuse sweetness in your Diwali celebrations. From Diwali chocolate gift boxes to Diwali chocolate hampers, we have got the most delicious Diwali gifts for your loved ones. We offer a delicious range of Diwali chocolate gift packs including all types of all gourmet chocolates like 5-star, Ferrero Rocher, Temptation, KitKat, Cadbury’s Dairy Milk Silk, Munch, Twix, Nutties Perk, etc. All our assorted chocolates for Diwali are available in a plethora of flavors like almonds, mixed dry-fruits, truffle, raisins etc. The richness of our Diwali chocolates is to die for. When it comes to our chocolate arrangements, we have delicious Diwali chocolate boxes, chocolate bars, chocolate towers, chocolate basket, chocolate bouquets, and even personalized chocolates. So, if you want to convey the best Diwali wishes to your loved ones, just check out our wide range of online Diwali chocolate gifts available at our website. And, while you check our delicious range of Diwali chocolates, you can also scroll through our scrumptious variety of Diwali cakes at FlowerAura. Chocolates are one of the crowd-favorite things that taste sweet. And, when it comes to the festival of Diwali, sweet is considered auspicious. Therefore, you can give a better Diwali gift to your loved ones other than happy Diwali chocolates? 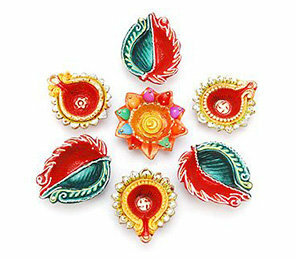 So, make your Diwali plans sweet with FlowerAura’s Diwali chocolates online. Sweets and special Diwali chocolates form an indispensable part of the occasion. With FlowerAura’s extensive collection of Diwali chocolates online for your dear ones, make sure you fill Diwali with a lot of fond memories. Apart from our scrumptious range of Diwali celebration chocolates, we also offer irresistible Diwali sweets that you can also gift your loved ones on Diwali. With a collection of Diwali special chocolates to choose from, you can also enjoy our special Diwali offers on chocolates. From Premium chocolates to handmade chocolates for Diwali, make your favorite pick and don’t miss a chance to treat your dear one in a special way. Sweetness is the binding chord between people. And FlowerAura firmly believes in the notion. That’s the reason it offers you a variety of assorted chocolates for Diwali to bring your friends and family close to you. Since Diwali is one occasion that calls for a sweet gesture of exchanging good wishes, it’s time you buy Diwali chocolates online for your loved ones from FlowerAura. For those loved ones who stay miles away, you can also send Diwali chocolates for them via our express delivery services. To infuse more love to your Diwali gift for your loved ones, you can also send Diwali flowers along with the chocolates from FlowerAura. With FlowerAura operating in 200+ cities, gift delivery is not an issue at all. So, you don’t have to worry about our delivery time at all. FlowerAura assures same day delivery of Diwali chocolates online in India through which you can send your tokens of love for your dear ones on the same day of your order placement with free shipping benefit. And, in case you want to surprise your special ones by sending Diwali chocolates at midnight, you can avail our midnight delivery to execute your surprise plan. So this Diwali, make sure you express your affection with special Diwali chocolates and infuse sweetness into your relationship.